A treadmill is a very popular and effective exercise option. It does not dependent on the body shapes of the individuals. However, as per the level of exercisers (like beginners, advanced etc), different speeds can be chosen. The treadmill is one of the most popular and heavily used home exercise equipment. It offers efficient and straightforward aerobic workout. Heart Health: Walking, jogging, sprinting or running on a treadmill will be helpful to challenge one’s heart. The heart is nothing but a muscle. That is why; elevating the heart rate for a time span of 30-minute workout will help to improve the cardio capacity as well as stamina. As per the experts, 30-minute workouts are recommended on most of the days in a week in order to improve and retain heart health. Improve Blood Cholesterol: Cholesterol means bad – this is a wrong concept because not all Cholesterol is harmful to you. Good cholesterol or high-density lipoprotein is helpful to decrease the risk of developing atherosclerosis. Atherosclerosis is a condition in which the arteries will be blocked that can result in heart attack along with stroke. Exercising like walking on the treadmill might help to boost the HDL levels. However, you should properly consult to an exercise expert. Some of the treadmills have come with programmable workouts that enable you to enter your height, age, and weight for achieving the appropriate speed for you. Low Impact: If you are not able to perform the high-impact workouts on a regular basis including jogging, dancing, aerobic, jumping rope along with other exercises for which you have to leave the ground along with your feet, then the treadmill walking can be the appropriate option for you. Walking is regarded as one kind of low-impact exercise and a soft and best treadmill is more convenient surface as compared to concrete surfaces. Improves Endurance and Stamina: Exercising for the duration of 30 minutes a day can help you in building muscular endurance and cardio stamina. It can be helpful in performing the physical activity with time. Slower or moderate-intensity walking for the longer periods can help you to build endurance and stamina. However, everything is dependent on the advice of the expert. Burns Calories: Treadmill usage (as per the expert’s advice) will help you to burn calories. Users can generally design the custom programs for setting the time of exercise. Besides that, multiple users can utilize this apparatus without any requirement of structure adjusting. Some of the treadmills are equipped with various outstanding features including heart rate monitors and step counters so that the progress of fitness can be tracked. 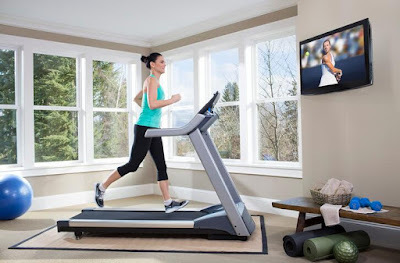 Treadmill running usually burns calories faster compared to most of the other in-home exercise forms including biking. 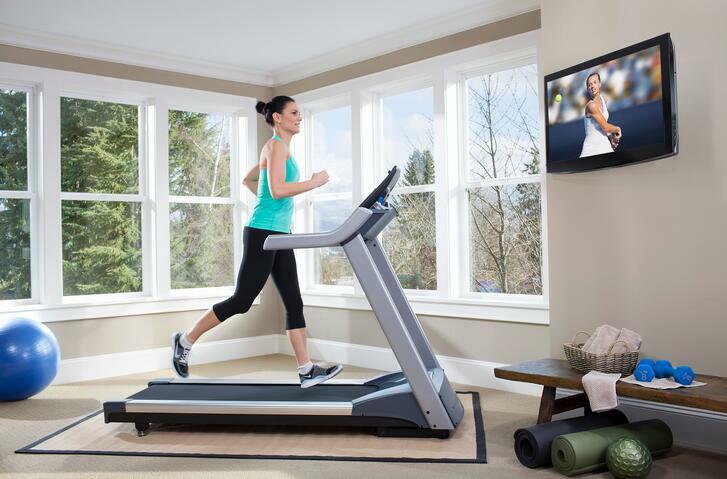 If you want to purchase a treadmill, then you should search for the best treadmill in india.